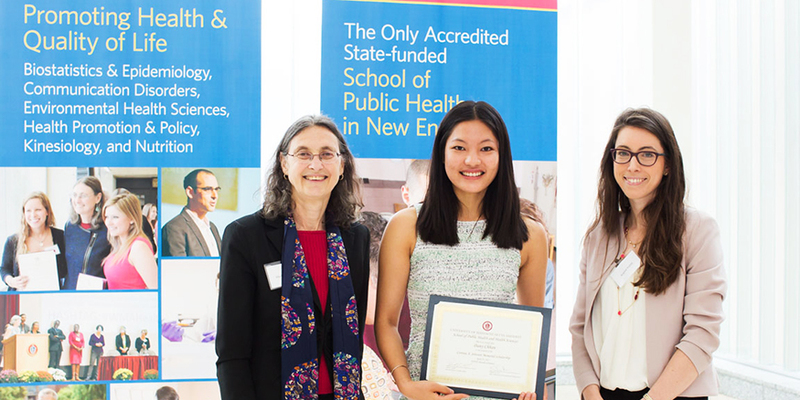 The Department of Environmental Health Sciences strives to strengthen its standing as a nationally competitive, major research and teaching program. In doing so, we also strengthen our ability to provide a valuable service to the Commonwealth, the nation, and the world. We do this through innovating and growing our programs, equipping our labs and teaching spaces with the latest technology has to offer, hiring the best educators and researchers, and attracting a bright and diverse group of students. There are several ways that you can participate in supporting the Department of Environmental Health Sciences, and we are grateful for all contributions. Your gift has many benefits. It helps us provide students with a superb education and it helps talented students who would not otherwise be able to attend UMass Amherst. Because we are part of a public university system, budgeting dictates that we increase our partnership with private donors, the business sector and foundations. Your annual support of our programs helps us continue to provide our students with the excellent education that has enabled our graduates to have outstanding careers. Your annual support of our scholarships enables us to attract the very best students in a competitive recruiting environment. We hope that you will join us in honoring Corinne Johnson by making a gift to this endowed scholarship fund. To support this effort, visit the University’s secure donation page. Please choose the box for "a complete list of possible designations" and select “Corinne Johnson Scholarship Fund” from among the “School of Public Health and Health Sciences” options in the Allocation menu.